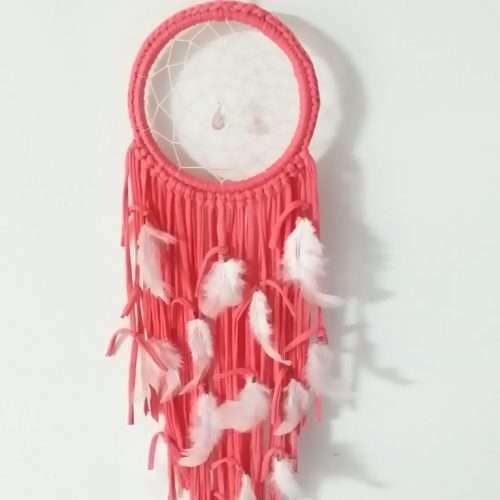 This beautiful large Hippie Dream Catcher is a colorful assortment that would definitely add some fun and whimsy to your boho home decor! 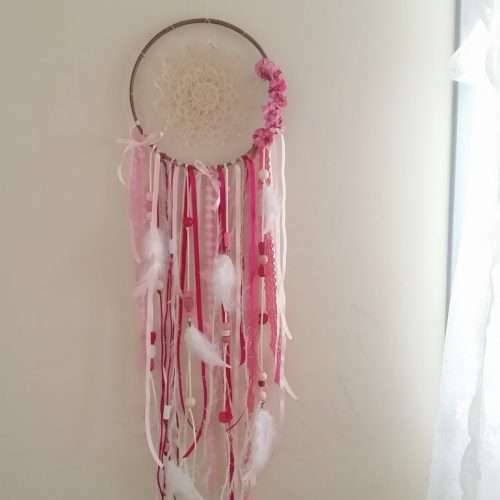 Simple crocheted hoop and woven web to catch bad dreams and allow good dreams to pass through the center. 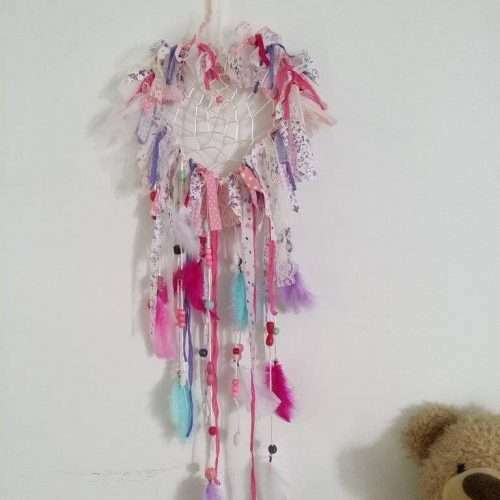 Dazzled with beads, soft feathers and different colored satin and lacy ribbons, and yarns add a happy, peaceful and sweet look to this boho dream catcher. Great to hang in any bohemian decor bedroom as well as make it part of a boho nursery. Great gift for daughter or to be given as a newborn gift or as a christening gift for that special day!